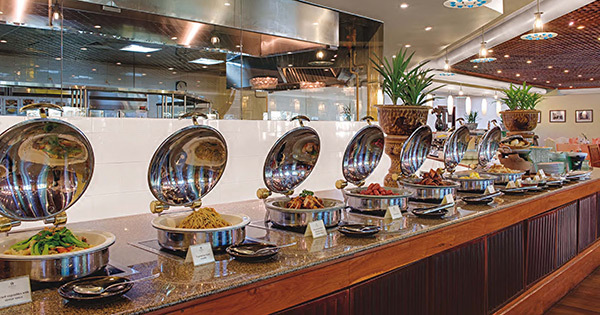 The Lotus brings a unique, yummy gastronomic style to the international buffet concept. 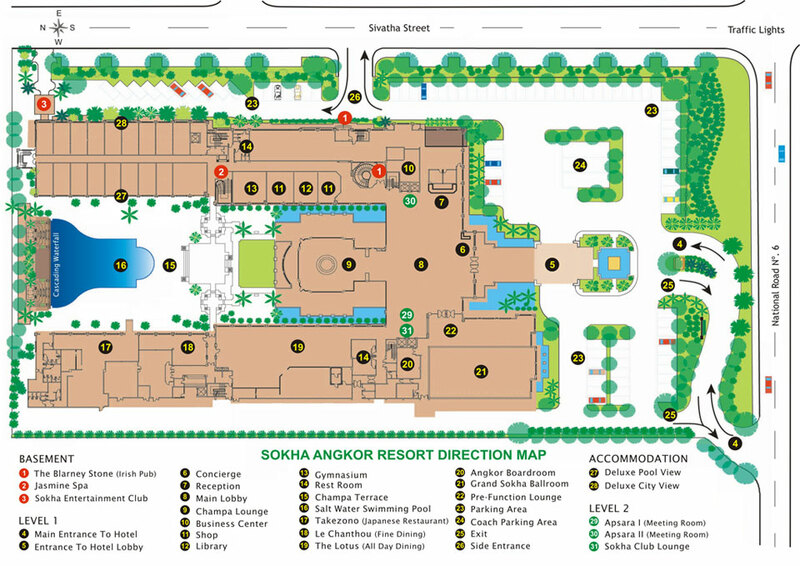 Our Chef combines the flavors of East-meets-West and utilizes the finest Cambodian ingredients, all prepared in an open kitchen. 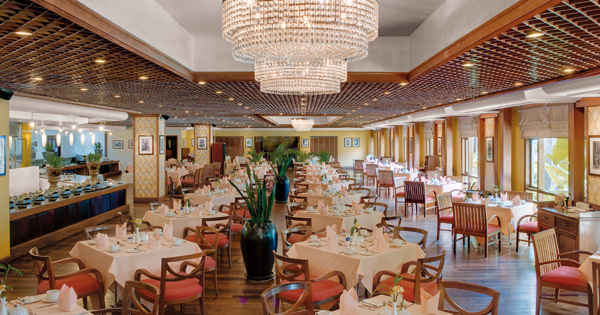 This restaurant is situated indoors, air-conditioned, and faces the hotel's spectacular pool and beautiful gardens. 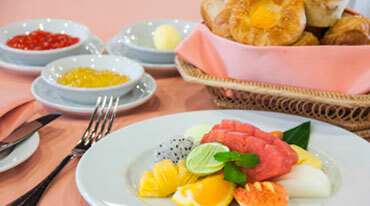 Refresh your morning with a cup of coffee with your buffet breakfast make the day more joyful and fresh. 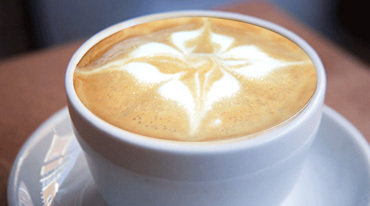 Enjoy your light breakfast with rolls, pastries or other baked goods; loads of fresh fruit come along with juice and coffee. 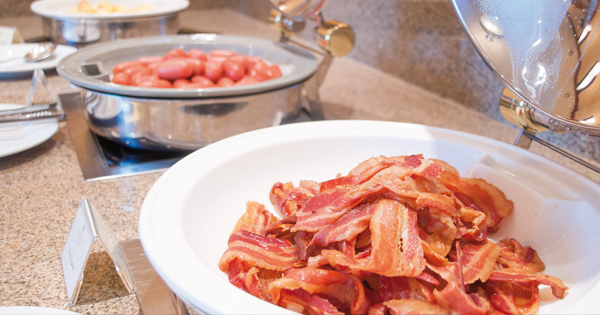 Get pleasure from American Breakfast with freshly cooked crispy bacon, scramble eggs, and sausages. 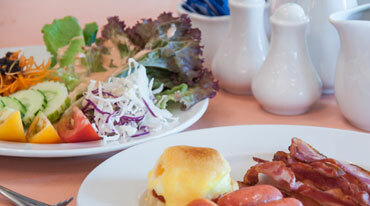 You can always enjoy a heavy breakfast every morning in the Lotus. 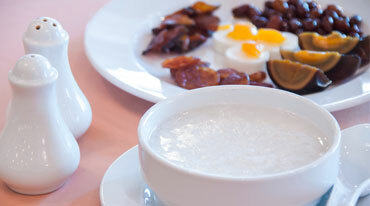 Congee is popular rice porridge in many Asian countries. When eaten as plain, it is most served with many kinds of side dishes.